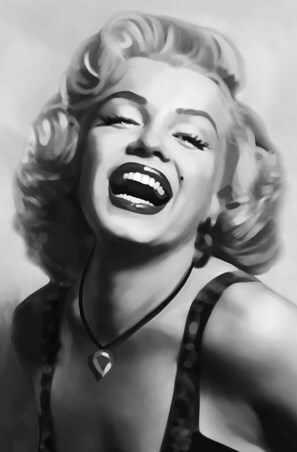 Celebrity Canvas Print: Known for that unforgettable scene in 'The Seven Year Itch', Marilyn Monroe has become somewhat of a cultural icon over the passing decades and this stunning monochrome canvas print captures the actresses poise and glamorous style. 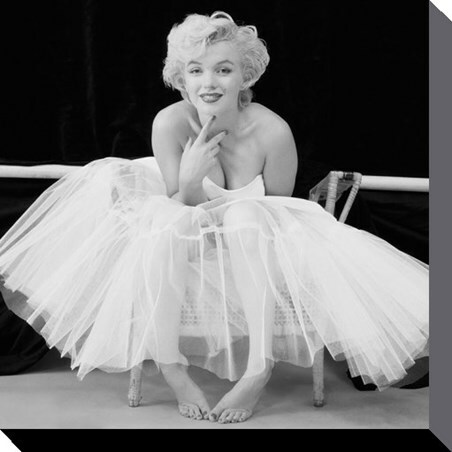 Dressed in a feather light tutu, the silver screen siren poses for the camera as she takes on the role of a ballerina. 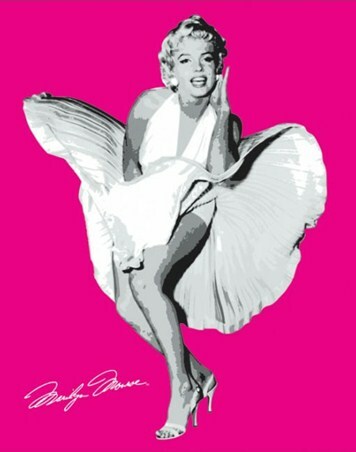 Perfect for admirers of the multi-talented celebrity, this canvas print will make a striking addition to any room in your home. 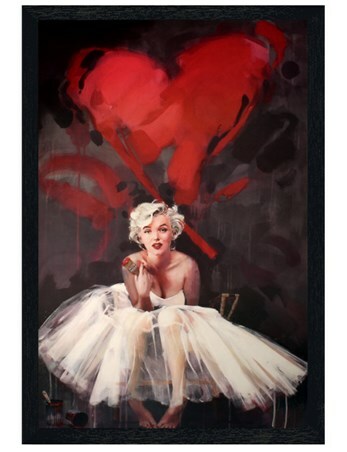 High quality, framed Ballerina, Marilyn Monroe canvas print with a bespoke frame by our custom framing service.